At the University of York, we have a great site known only as ‘The Astrocampus’. It includes two observatories with three excellent telescopes (one 14" and two 10"), three solar telescopes, two radio telescopes and a large portakabin. Our dream is to upgrade the facilities to not only benefit the undergraduates here, but to enable us to open the site to the general public and school groups. Our plan is to open the site once a week in the winter months and once a month in the summer months for public observing sessions. These will be led by volunteers from the Department of Physics. We will also open the site to school groups, who will be able to book in for exciting space-themed workshops, as well as using all of the telescopes on the site. We’ll also be open to youth groups such as Brownies, Guides, Cubs, and Scouts for evening observing. 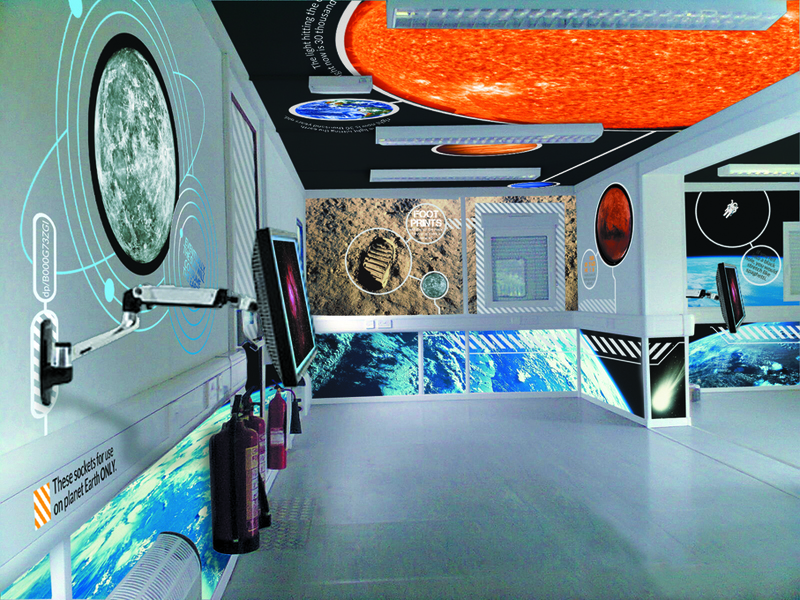 We were generously donated a Portakabin that we are now developing into a space-themed outreach room. It will contain computers to control the radio telescopes and will have flexible furnishings to allow it to be used for schools workshops, public talks, and as somewhere to warm up when out using the telescopes! 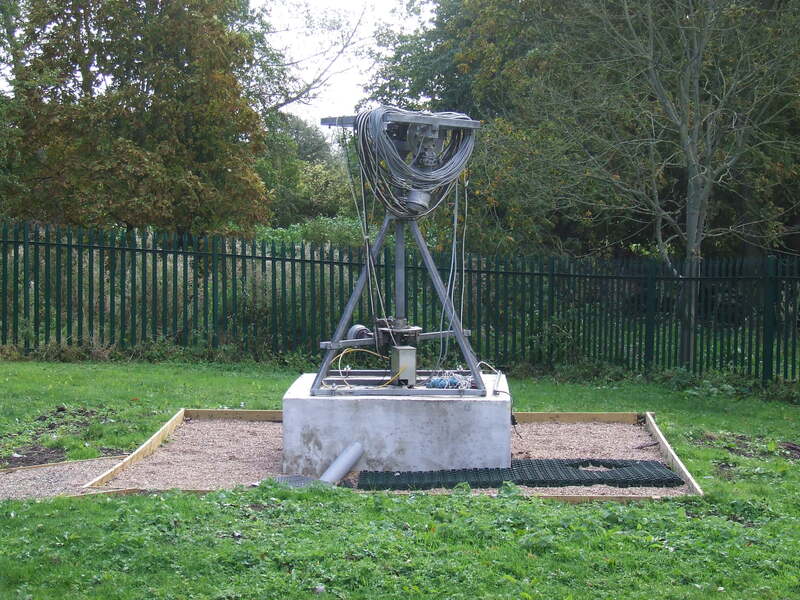 Two radio telescopes will be available for use on the site. 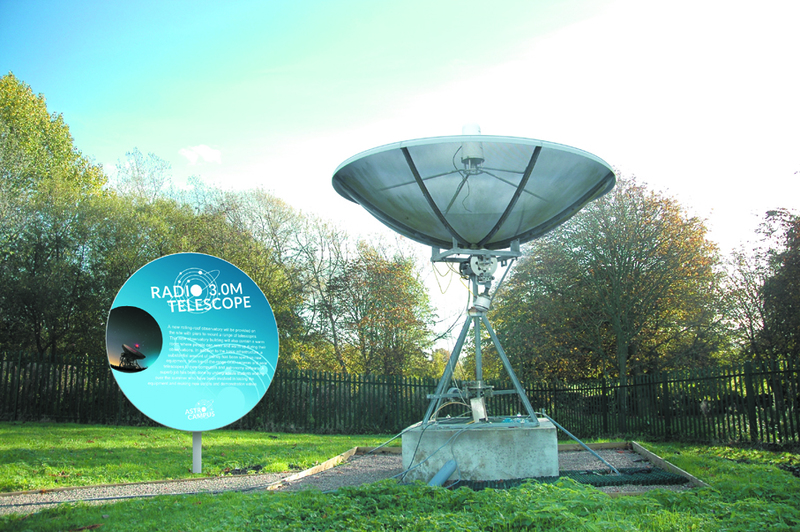 By each radio telescope and by each observatory, a display board will provide information about how the equipment works. Low-level red LED lighting will line the paths to make the site safe to access at night, without compromising the observing conditions. 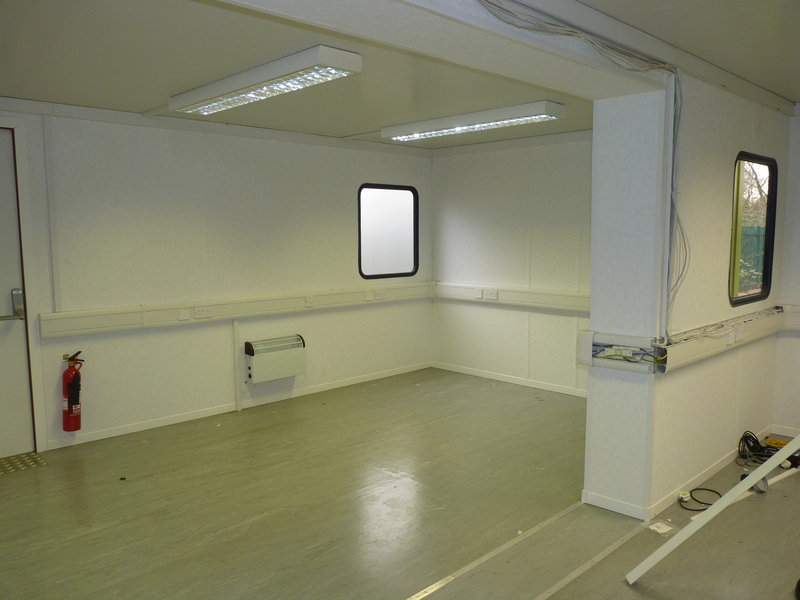 Four fitted desks with operator chairs from which to control the radio telescopes; 30 upholstered stacking chairs; 10 tables on castors (for flexible layouts); 2 storage cupboards. A projector, pull down screen and four computer screens will allow for talks, demonstrations of the radio telescopes to larger groups, and link ups to both our telescopes (via webcam) and larger telescopes around the world. Volunteers will be needed to staff the telescopes and run activities. They should be easily identifiable. There will be a team of 30 volunteers from the Department of Physics assisting at the site on a rotating basis. Extra cash? We'd still like to add toilets to the site. Our nearest toilets are in the Physics and Electronics building, which is a 5-10 minute walk away. 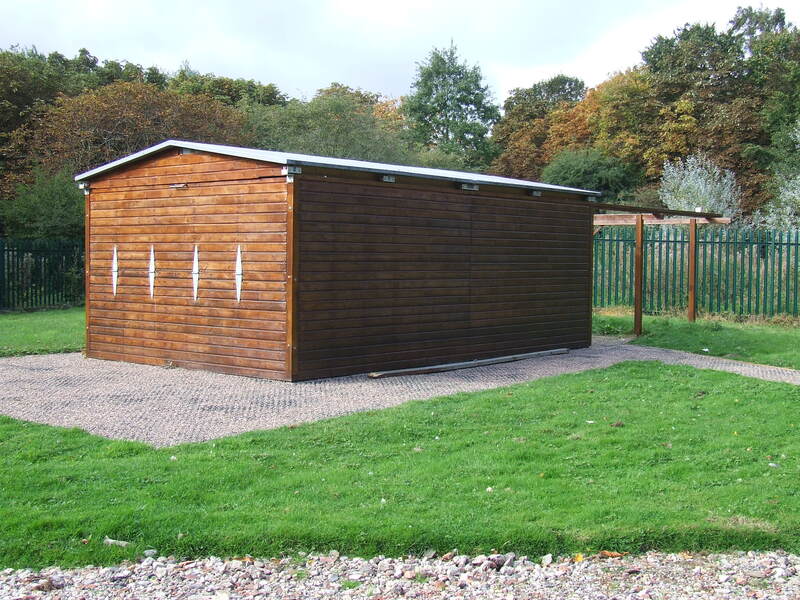 The cost of this will be £12,000 for both the building and plumbing. Come along for a visit! Booking will open on our website soon. Donate £10 to buy a bit of Astrocampus! Receive a beautiful certificate and get you name listed on the website as a funder. Look forward to the summer - now you'll be able to view the Sun in safety with these fab solar observing glasses. And that's on top of your certificate and name on the website. Everything a £15 donor receives PLUS your chance to walk in Galileo's footsteps with this 'Build Your Own Telescope' kit. In addition to all of the other goodies, donate £150 and receive the stunning 'Astronomy Photographer of the Year: Collection 2'. This beautiful hardback book is perfect for anyone who gazes in awe at the heavens. Plus, receive an exclusive place on a photography evening at the Astrocampus. We'll supply the telescopes, cameras and expertise, and you'll take away a memory stick of images that you have taken. 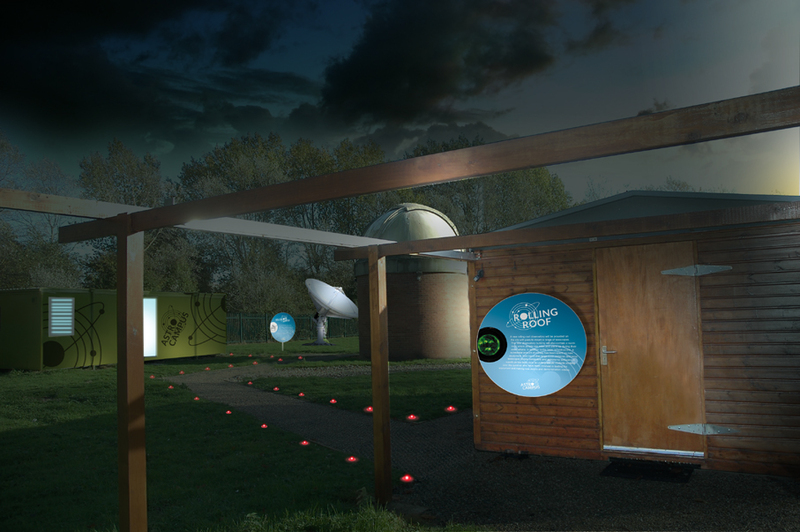 For £500, not only receive the exciting rewards listed so far, but enjoy an exclusive evening at the Astrocampus for just you and your friends and family. Our volunteers will treat you to the gold star service: Enjoy a glass of bubbly whilst exploring the heavens at your leisure, with full access to all of our telescopes and resources. As one of our top donors, enjoy your own exclusive night at the Astrocampus and all of the other rewards. In addition, your name or organisation logo will be recorded for posterity on a sponsors plaque at the entrance to the Astrocampus and on all of our display boards.